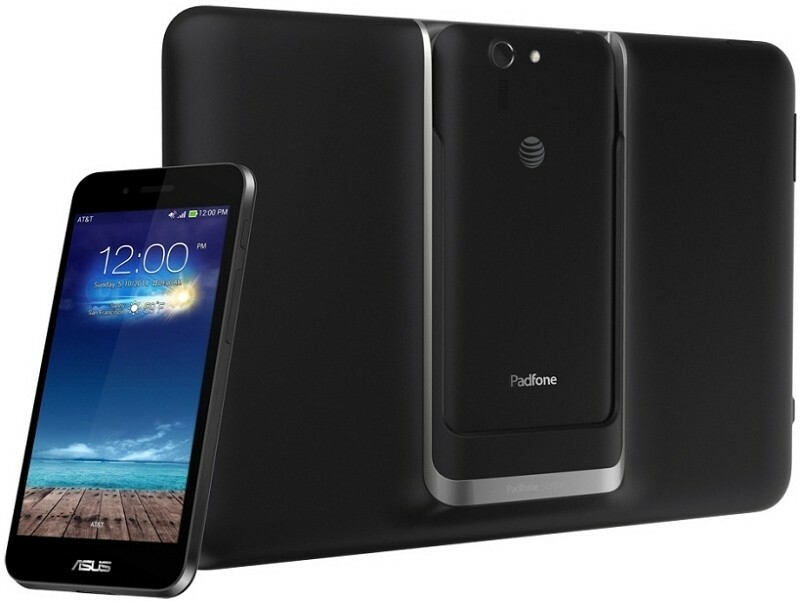 Making good on a promise from nearly six months ago, the Asus PadFone X is finally heading to AT&T. The smartphone and tablet combination will arrive on June 6 priced at $199 with a typical two year contract, $22.98 per month using AT&T’s Next 18-month payment plan or $29.80 with the Next 12-month option. In a statement on the matter, AT&T senior vice president of devices, Jeff Bradley, said they are proud to add the innovative PadFone X to their device portfolio as it provides tremendous value and flexibility to consumers. The specifications haven’t changed since it was first announced but even still, it’s a decently powerful setup when compared against today’s top-end phones. The handset features a 5-inch display operating at 1,920 x 1,080 and is powered by a quad-core Qualcomm Snapdragon 800 SoC clocked at 2.3GHz alongside 2GB of RAM and 16GB of storage. There’s a 13-megapixel camera on the rear, a 2-megapixel front-facing shooter, a microSD card slot, 802.11 a/b/g/n/ac Wi-Fi, Bluetooth 4.0, GPS, GLONASS and AGPS which is all powered by a 2,330mAh battery. It’ll run Android 4.4 Kit Kat out of the box. The tablet component, meanwhile, uses a 9-inch display running at the same 1080p resolution. It has a 1-megapixel front-facing camera and a 4,990mAh battery for extended runtime. We obviously haven’t had a chance to try out the device just yet but it could be a serious option for someone needing a new phone and a tablet given the price point alone.